So your friend, coworker or daughter just purchased their first home and you want to honor the occasion with a housewarming gift—but the options seem limited. If you don’t want to be that person who gives yet another blender or bottle of wine you should give them something a bit more original and, preferably, a lot more functional. Smart home gadgets fit the bill perfectly. 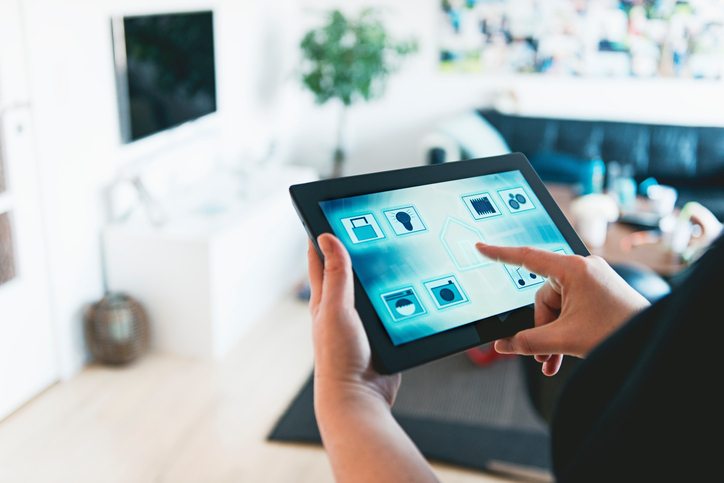 The twelve home automation products below are organized into four demographics, but most of these gifts would surely delight any new homeowner. You won’t spend a lot of money on the Belkin WeMo Switch Smart Plug, but it will deliver a powerful punch. When homeowners plug it into an outlet and connect a coffeepot or other appliance, they can turn the appliance on or off from anywhere at any time. They can also connect the lights to the plug to easily set schedules and synchronizations. The Beddi Smart Alarm Clock claims almost unbelievable functionality. Its compact design features two Bluetooth speakers with a Spotify Premium integration, a white noise generator to lull a homeowner to sleep, and two charging ports. It also boasts three customizable buttons that homeowners can use to control other devices, such as an overhead light, fan or the aforementioned coffeepot. If your homeowner has young kids, you know the floors rarely stay clean for long. Things like Cheerios leave a trail across a room and, if not picked up quickly, are soon crushed into the carpet or pounded into the wood floor. The ECOVACS Automatic Robotic Vacuum Cleaner takes care of cleaning catastrophes by regularly sweeping the home for stray cereal and any other lingering materials. It comes in under $200 on Amazon, so it won’t put you in the red if purchased as a housewarming gift. The “WeMo” name gives away the secret, but this gem of an air purifier integrates seamlessly with the Belkin WeMo line. Your homeowner simply opens the app to check or adjust settings from anywhere. Besides providing cleaner air, the Holmes Smart Wi-Fi-Enabled WeMo Air Purifier issues alerts when it needs to be cleaned or requires a new filter. Nest reigns in the smart thermostat market, although the ecobee3 brings some stiff competition. The Nest Thermostat appears here because it, like the Holmes air purifier, works with the Belkin WeMo Switch Smart Plug. If these products are used together, the home “knows” when the homeowner gets home at night and responds accordingly by automatically turning the lights on or adjusting the temperature. Philips Hue offers colored and white smart lightbulbs. You can’t go wrong with either, but you should start with the white bulbs if you’re looking for a basic solution. The Philips Hue White Starter Kit comes with two LED bulbs and a bridge. Keep in mind that without the bridge, the bulbs won’t connect with Amazon Alexa or any other home automation hub. The August Smart Lock turns smartphones into house keys. It sounds fancy, but it also improves safety and security. With the August Smart Lock, your homeowner won’t worry about losing a key during a run at the park. They also won’t be concerned with who can get inside the home—the smart lock allows users to control who has access and to monitor activity via the mobile app. For indoor surveillance, you can’t go wrong with the Nest Camera. The camera allows homeowners to check on anything from kids to a mischievous puppy at any time and from any place. It also sends alerts when it notices strange activity, prompting the homeowner to view the live video and make sure everything is all right. A home is a big purchase, and it deserves to be protected. ADT Pulse provides that protection along with a mobile app so that homeowners can monitor the home on the go. ADT Pulse requires a month-to-month subscription, however, so keep that in mind if you’re considering this item as a gift. The WeMo integration with this product means your homeowner can check on a pot of chili while at work or sitting in traffic. With the Crock-Pot Smart Slow Cooker, homeowners will serve an always-hearty-and-never-burnt dish to family and guests. The Anova Culinary Bluetooth Precision Cooker can attach to almost any cooking pot and keeps water at an exact temperature. This smart home gadget uses the sous-vide method, which allows the food to retain its flavor better than it would with frying or grilling methods. This makes it possible for vacuum-sealed bags of meat, fish, poultry, or vegetables to be added to the temperature-controlled water and cooked for several hours. The end results are melt-in-your-mouth delicious. Great selections! I needed some additional closing-gifts ideas and here they are! The Wemo enabled coffee maker from Mr. Coffee is also really cool. If you have a Fitbit you can have it automatically make you a cup of coffee when your Fitbit registers that you are awake.